Chevy Chase offers full-service event coordination for a magical and memorable celebration in a breathtaking setting. 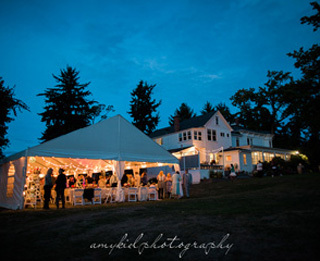 Our pristine grounds and historic 1889 Victorian home offer sweeping views of Discovery Bay and the Olympic foothills; our bright and open interior space boasts hardwood floors, expansive windows, and tasteful decor; our low beachfront meadow and private sandy beach are a beautiful backdrop for a beach wedding; and our cottages are the perfect place to host your friends and family. 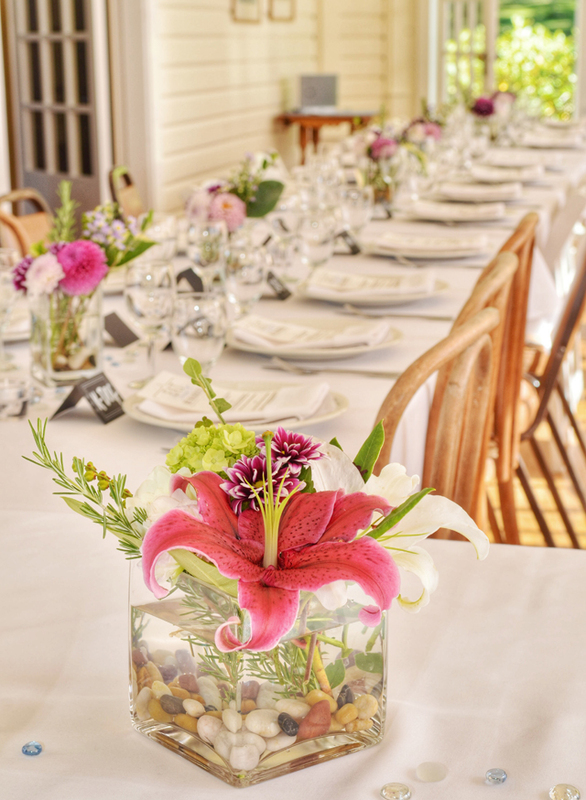 Our staff can help facilitate every aspect of your event, from flowers to catering to event rentals to photography. Our indoor facilities are available for rent year-round and are ideal for intimate gatherings up to 50 guests. We host an exclusive number of outdoor tented events where we can accommodate up to 125 guests. To view more photos of weddings at Chevy Chase, please visit Jeff's photography website here. Our indoor space is ideal for intimate ceremonies and receptions for up to 50 guests and is available for rent year round. The Sunroom boasts a wall of windows overlooking Discovery Bay and can be transformed with long tables for a full-service sit down event, or high cocktail tables for a more casual appetizer affair. You also have access to two beautiful parlors and an amazing commercial kitchen for your caterer. Events over 50 guests are hosted completely outdoors with access to our indoor commerical kitchen for your caterer. There are numerous site possibilities depending on your group size, that capture the sensational views and maximize the property's unparalleled location. Tent rental is required. Please inquire for our current rate structure, packages and availability. "The beauty of the grounds, panoramic views and historic charm, as well as the private beach access was everything and more. ...The owners and staff were so helpful, timely, courteous and just plain amazing." After an initial discussion about your overall vision, general pricing structure and availability, we require a face-to-face onsite meeting with the wedding couple before confirming your event. Because Chevy Chase is such a historical and unique site, the nuances of our property mean that it is best suited for thoughtfully planned, intimate affairs. It is so important for us to create a personal connection and build a strong partnership from the onset so the process is seamless and the results are nothing short of magical. 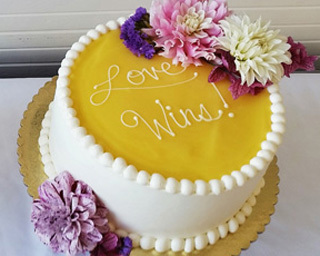 We want wedding couples to feel a profound connection to this space, understand and appreciate our commitment as stewards of this historical property, and in turn have that energy reflected throughout the event to the wedding guests. Once your dates are confirmed, we continue an open dialogue throughout the planning process until after your event. 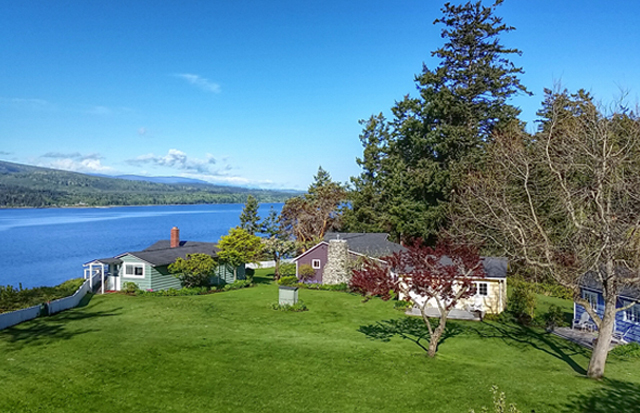 We love to help maximize the amazing opportunities this property has to offer to help create a memorable experience that you will cherish for a lifetime. "When we began looking for a wedding venue we couldn’t imagine getting married at such a beautiful and magical place! 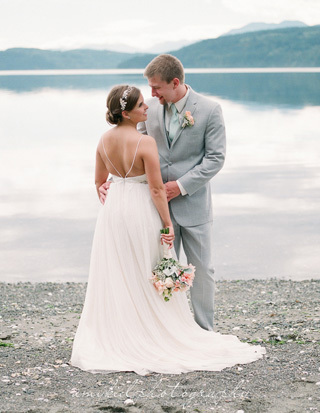 We wanted an outdoor, intimate wedding with views of the sound and mountains. Tucked away in the promise land of the Olympic Peninsula, Chevy Chase Beach Cabins provides just that." We have sourced an exclusive list of preferred vendors to ensure that you will be working with people that meet our high standards for quality and professionalism. 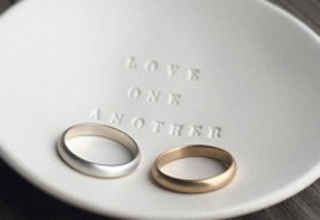 We have recommendations for caterers, tent rentals, dish and table/chair rentals, florists, photographers, music, and even wedding ring design (see below). If you have a catering or tent connection that you are feeling attached to, we would be happy to work them and just require an onsite meeting to ensure that they will be a good fit. We assist with vendor management and timelines; make recommendations for rentals (dishes, flatware, glassware, linens, tables, chairs, etc); and work directly with your caterer to ensure adequate staffing, a functional timeline, and smooth transitions. "Not only did they help make sure everything was organized and vendors were communicated with, but they also had great suggestions on decorations, table settings and troubleshooted issues that we didn’t even know about." Our talented staff can help you with every aspect of your event. While some couples decide to partner with a wedding coordinator to facilitate all of the details (and believe us, there are more tiny details than you can begin to anticipate! ), you can also utilize Jenn (CCBC Owner) for your planning needs. Flowers and Decor: Jenn moonlights as a floral designer and can create beautiful centerpieces for your rehearsal dinner or wedding. She also enjoys working with the guests of honor on creating beautiful tables and adding special touches to enhance the occasion. Photography: Since Jeff (CCBC owner) is a professional photographer, we have extra insight into the best places for group shots, intimate moments, and incredible views. We can help create a shot list for your photographer to make sure they optimize the potential images and capture the beauty of the setting. Overall: We can help you craft your timelines, determine table layouts, coordinate rehearsals, manage day-of logistics, assist with seating arrangements, help create Port Townsend itineraries for your guests, make off-site guest accommodation recommendations, make floral arrangements and signage, and generally make sure there is not a single detail overlooked. "They truly want to make your dreams and vision come to life and bent over backwards to make sure our day was nothing less than perfect!" Our seven well-appointed vacation cottages are the perfect spot for friends and family to settle in for your celebration as well as great spaces for bridal suites and groom's quarters. We require a full property rental for two nights for all weddings (a three night rental is required between May and the end of October). The cabins can accommodate up to 30 people at absolute maximum capacity ("real bed" capacity is 24). The nightly full-property rental rate is $1400/nt in the Quiet Season, $1570/nt in the Mid Season, and $1825/nt in the Peak Season. In addition, there is a $20/per person charge for extra guest beyond the real bed capacity and a $20/nt fee per dog. All rental fees are subject to 11% tax. "We rented the cabins for three nights which allowed us to have so much more time with our friends and family and really made for a weekend celebration and some really wonderful memories. It also gave us the option to have our rehearsal dinner in the owner's private home." Perfectly aligned with the Chevy experience, owner and local jeweler, Stephanie Selle creates a memorable and personalized experience by giving couples the opportunity to handcraft each others heirloom quality rings. In her downtown Port Townsend studio, Stephanie guides couples in an intimate setting to create rings that both partners love and cherish. The process, which could sound intimidating to some, is a fun, relaxed and intimate experience that may also be the most unique and memorable part of your wedding planning process.